View More In Arch Supports. 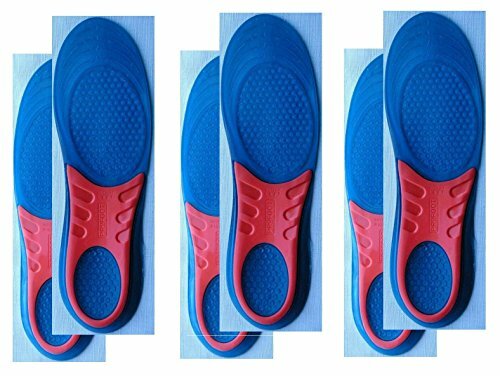 The Ultra Gel energizing insoles from Profoot offer twice the comfort with two layers of gel; Ultra-Gel insoles are not only incredible comfortable, but the double gel design returns energy with every step, which helps to fight pain and fatigue. The firmer orange layer supports the heel and arch in a healthy position. Money-back guarantee from manufacturer, PROFOOT Inc. If you have any questions about this product by Profoot, contact us by completing and submitting the form below. If you are looking for a specif part number, please include it with your message.